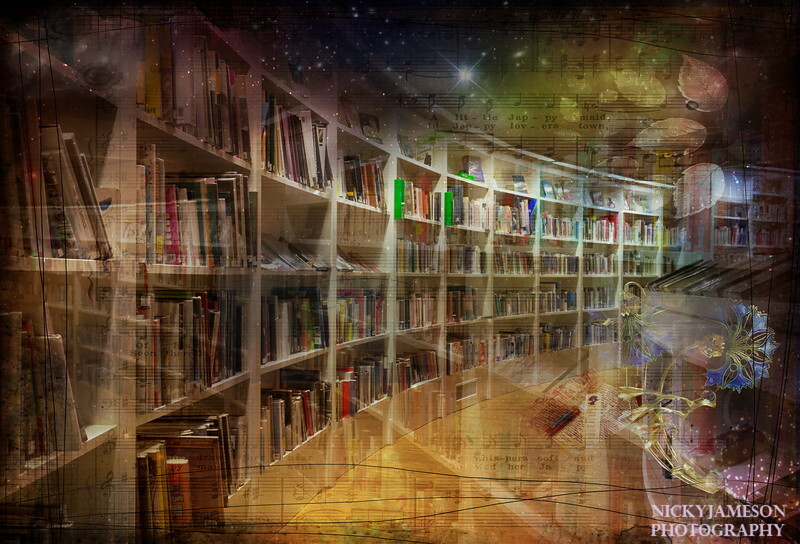 Photo composite of three of my photographs and textured layers, creates intersecting leading lines to depict the feeling I have of being in the library, a world of books. Books were, and still are, doors to other worlds and lives, an escape into a world of adventure and dreams, enlightenment and guidance. And the local library (with hundreds of books, comfy chairs and silence) was my destination. "Knowledge" for me evokes many of those happy feelings. I created it from four of my photographs, two of the inside of Clapham Library in London, which is one of the most unusual buildings I've ever been in... it's built in a spiral with all the books along the sides, not on shelves like your typical library.